In her role as Vice President, Ms. Vives provides real estate development and advisory services for Douglas Wilson Companies and its clients. For DWC’s new Senior Living division, she is responsible for development, procurement, and project management of a portfolio expected to reach 10 properties in the Western states. Her Advisory Services clients look to her for confidential, strategic counsel and the advancement of complex, high value projects. 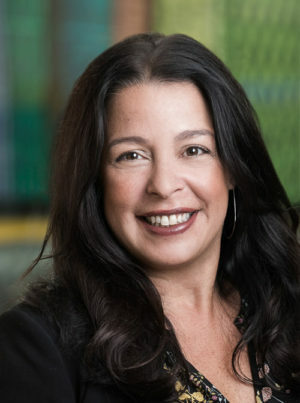 In her career, Ms. Vives has been directly involved in the development of over 3 million square feet of master planned communities, office, retail, hotel, and senior living projects with a combined value of over $1 billion. Her experience includes: project feasibility analysis and due diligence, land procurement, community outreach, entitlement processing, contract negotiations, business development, and proposal management. She is known for her ability to problem-solve and reach consensus when working with government and regulatory staffs. Her command of budgets, timelines, and stakeholder relationships extends across all market segments. Prior to joining DWC, Ms. Vives acted as Development Manager for a venerable San Diego architectural firm where she managed all aspects of predevelopment activity. In this role, she oversaw procurement, proposal management, project feasibility and due diligence, community outreach, entitlement processing, and contract negotiations. During her tenure as Business Development Manager for a major developer across the Western United States, she authored over 40 developer-led P3 real estate proposals that led to the construction of 1.8 million square feet of office, research, residential, and retail projects. Ms. Vives earned her Bachelor of Science in Industrial Psychology from Illinois State University and her Bachelor of Science in Accounting from the University of Phoenix. JCNI has a goal to sustainably redevelop 50 acres in southeast San Diego, while providing essential services, housing, and commercial and service enterprises to the communities it serves. Ms. Vives heads the DWC team that is currently acting as a third-party real estate advisor for the foundation. This role includes land and real estate valuation, development of a Master Plan, project feasibility, identifying market opportunities, working with the City of San Diego to create developer incentives, and the development of related real estate deployment strategies. A 600 room hotel and retail redevelopment valued at $92,000,000. Ms. Vives works with the Project Owner to facilitate lease negotiations, community outreach and public support through the Port of San Diego. A 5.7 acre elevated community park project with parking at grade valued at $75,000,000. Ms. Vives worked with the USS Midway, the Port of San Diego and the community moving the project forward through a public-private entitlement process. A 650,000 square foot office development valued at $215,000,000 that focused on iconic design, integration of parking and transit, and novel green-building technologies. Ms. Vives worked with the development group at the final stages of completion and upon sale of the building.